Railings are extremely useful tools for many different areas, including home & business use, as well as for cordoning off areas in public spaces. 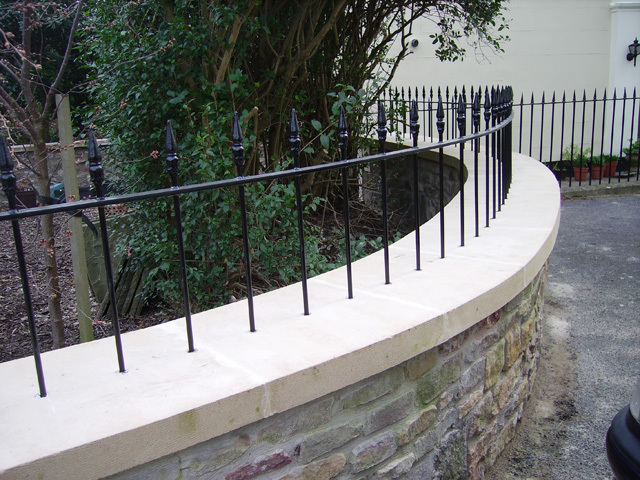 All railings provided by Keynsham Forge are durable & crafted to the highest possible standards, they are tailor-made to fit your exact specifications. Keynsham Forge’s solutions are vast, having provided everything from wheelchair ramp railings to balcony railings – if you need railings solutions, we can provide you with the expertise and know-how, and complete your project with ease. Whether you want a thing of beauty to frame your property perfectly, or your specifications demand a focus on practicality, we can provide you with the perfect fence railings. We’ve provided solutions for everyone from school premises to business owners, to private residential areas, with happy customers everywhere we go. Metal fence railings are incredibly weatherproof, and unlike other solutions such as flimsy wooden fence panels, will not risk damage in heavy rain or wind. Particularly if you have vulnerable people in your home, such as young children, you’ll want to make sure that your stair railings are safe, as well as in keeping with the décor in your home. 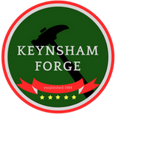 At Keynsham Forge, we have a wide range of options available including wrought iron and steel, and as with to wrought iron railings, we can provide a range of different finishes such as anodising and galvanising. Our experienced professionals will ensure that your stair railings are sturdy and provide you with the peace of mind that you need, as well as using their crafting skills to create something which seamlessly flows in your room or outdoor space. Wrought iron railings are the ultimate in durable, sturdy design and all our work meets British and European safety standards. We have a wide portfolio of wrought iron railings, but if you have something more elaborate in mind, we’d love to use our welding and fabrication expertise to help you make your idea a reality. Wrought iron is available in a number of finishes depending on your specifications, including powder coating and galvanised finishes – Keynsham Forge will discuss your needs in depth and help you pick the best finish to suit you. Here at Keynsham Forge, we understand that every customer has slightly different needs, and our bespoke custom metal railings service means that whatever your specifications, we will provide you with something that complements your home, business or garden. We can incorporate your company’s logo into your metal railings, for example, or provide detailed work in stair railings that complement your interior perfectly. No job is too big or small, so don’t delay – let London Gates and Railings make your dream a reality today. All of our professionals are skilled craftsmen, eager to make your vision a reality. What sets us apart is our desire to adapt – if your specifications change, our service will too, so that at the end of the project you have something you’re proud to call your own.